Bracketology is the process that is used for predicting the field of college basketball participants in basketball tournaments. 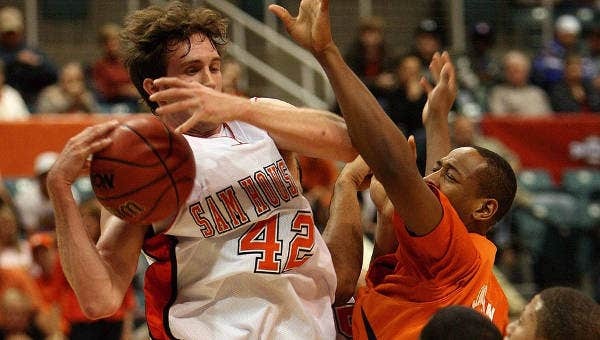 Almost all of us have a passion for the game of basketball when in college. At the start of each session, people in college start planning their routine activities so that they can enjoy the tournament to the fullest. 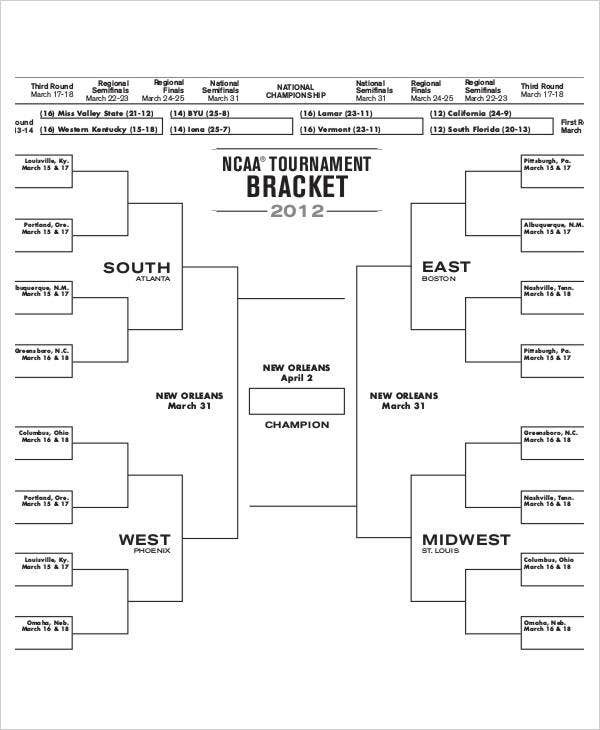 The Printable College Basketball Bracket templates, as mentioned below, will act as a unique tool in the form of diagrams that will present the complete list of games to be played during a tournament. They will also assist the basketball schedule team to maintain a perfect account of all the matches by designing a professional list of matches. These templates can be extremely handy for colleges in planning different matches and maintaining accounts of each and every match effectively. The College Basketball Tournament Blank Bracket template is a nicely designed template that contains a list of the matches to be played. You can use this template and customize it to suit the requirement of your basketball tournament in your college. Men’s College Basketball Tournament Bracket Template offers a layout using which you can plan out the tournament or keep a tab on the list of important matches that you wouldn’t like to miss. 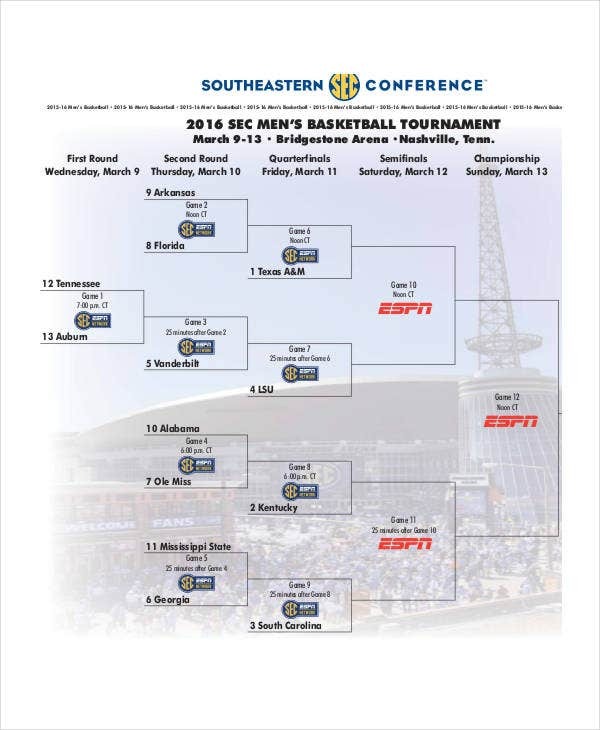 > What are the uses of these Printable College Basketball Bracket Templates? The Printable College Basketball Bracket Templates, as mentioned above, are easy to use and fully customizable. All you need to do is download them, insert in your data, and update the entire planned activities. These templates will assist you in tracking all your favorite matches of the tournament with the help of a pool worksheet that you can rely upon. You will be able to update the final scores of basketball until the time the champions are declared and crowned. You can also use these templates to calculate the points of each game of the tournament to determine which team is currently leading the charts and its chances of winning the tournament. 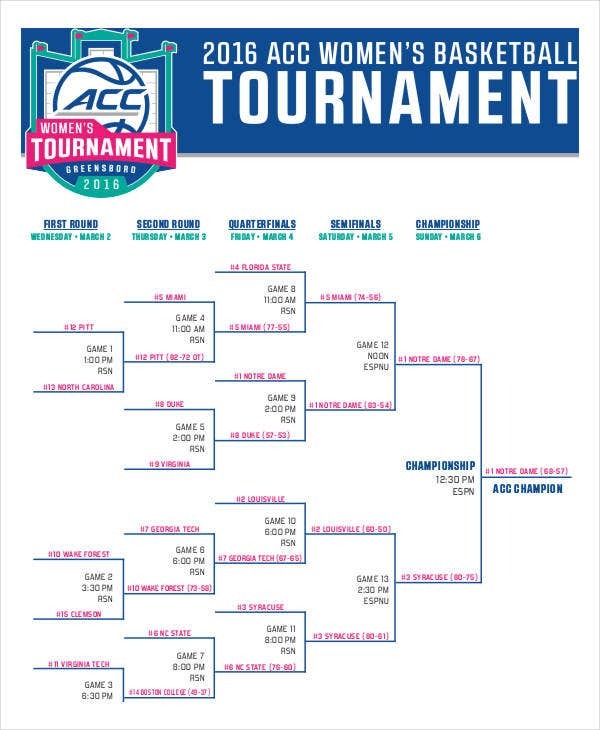 Women’s College Basketball Tournament Bracket will assist you with a complete list of the matches to be played along with their match days and timings. This will help you in planning your schedule accordingly as per the matches. 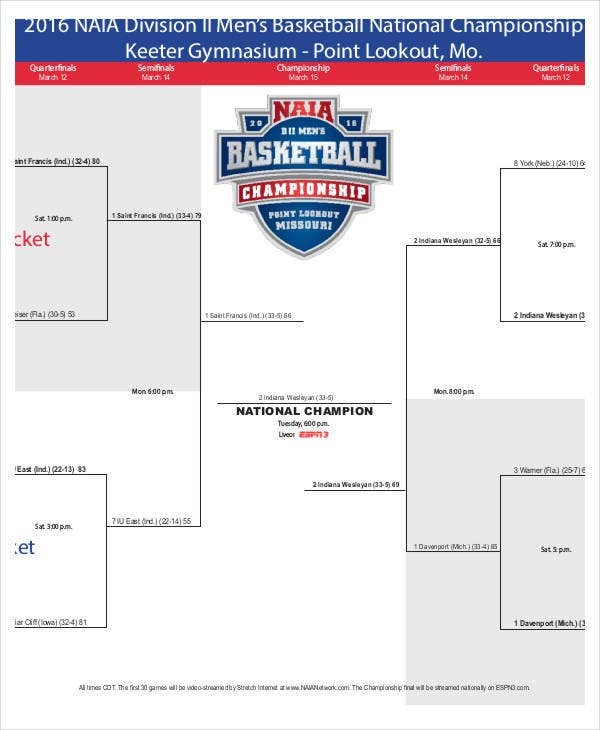 If you are looking for a basketball bracket template that will fit the requirement of your college’s basketball tournament, opt for this print-ready, ready to use, and customizable College Basketball Bracket template. 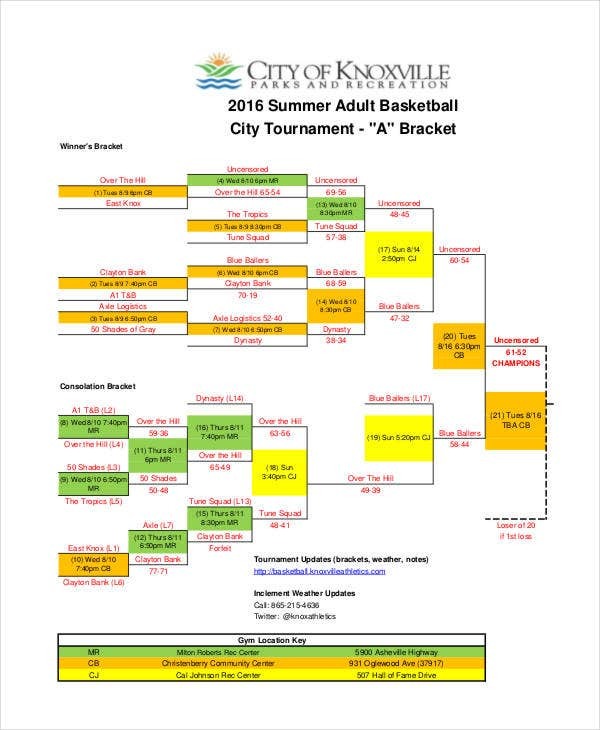 This Sample Basketball Tournament Bracket template is available with a simple yet thoughtfully designed layout which can fit in perfectly to your basketball tournament’s requirements. Use this template to create your list in the most efficient manner. 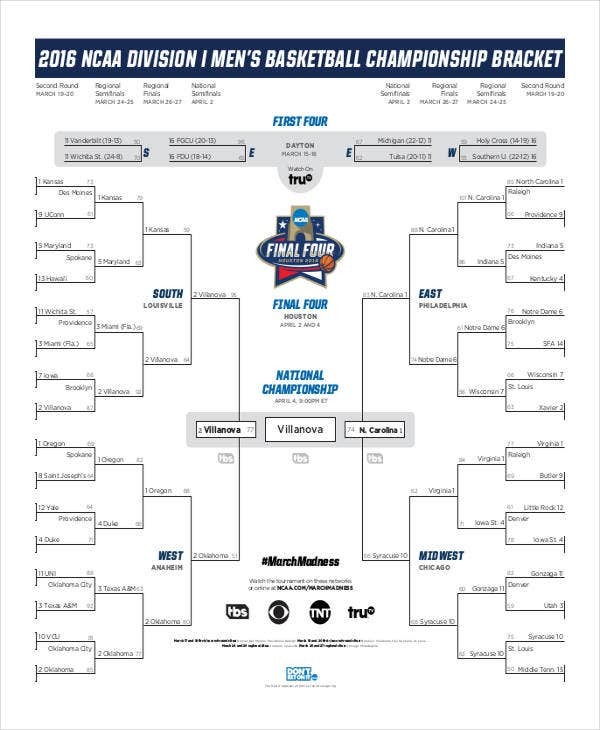 > Who can use these Printable College Basketball Bracket Templates? These Printable College Basketball Bracket templates can be used by any school or college who is in the process of organizing a basketball tournament. 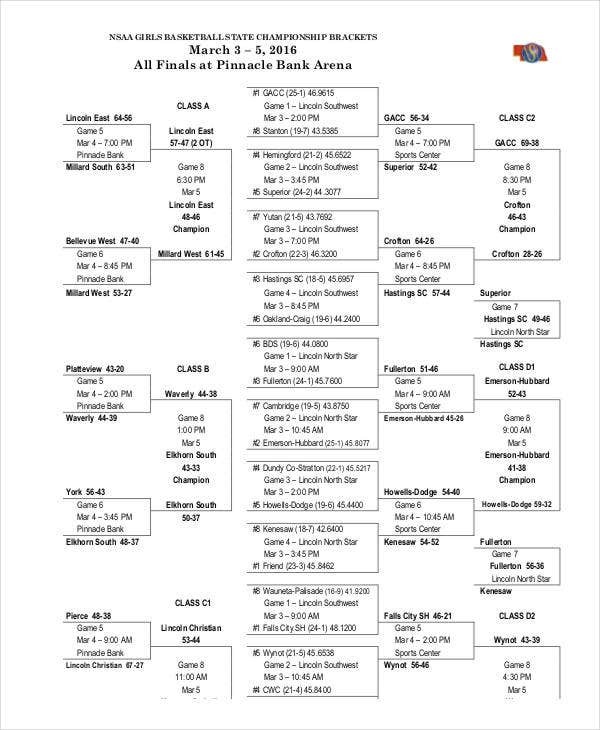 Also, all those who are looking for Printable Basketball Bracket templates to keep track of the matches to be played and their scheduling, and are keen to follow the tournament can use these templates. The best part is, you don’t have to create one on your own from scratch as these templates offer a readymade template that you can easily download and use for your purpose. These templates can be used by anybody is passionate about the game of basketball. You may also see Basketball Certificate Templates. If you are looking for Printable College Basketball Bracket templates, you don’t need to search for them anywhere else as we have a vast collection of these templates on our website. Go through the extensive collection of Printable College Basketball Bracket templates and download the one that best matches your expectation. Use these templates and get on with the game of basketball like never before.